Romania’s Cristian Pletea and Azerbaijan’s Ning Jing are the names that head the list in the respective Men’s Singles and Women’s Singles events for the three day three day Buenos Aires 2018 European Youth Olympic Games Qualification tournament which commences in Split Croatia on Friday 3rd November. Next in line to Cristian Pletea is Ioannis Sgouropoulos followed by Russia’s Vladimir Sidorenko and Sweden’s Truls Moregard; the names which immediately follow Ning are Russia’s Mariia Tailakova, Romania’s Andreea Dragoman and Slovakia’s Tatiana Kulukova. Four places for men and four for women are available with a National Olympic Committee eligible to enter a maximum of one player in each gender. Play is organised in each of the Men’s and Women’s events in three stages. On the first day of play, matters are organised on the group formula; basically four players in each group. Players finishing in first and second positions in each group advance to compete on the second day of play in Draw ‘A’; those finishing in third and fourth positions progress to Draw ‘B’. 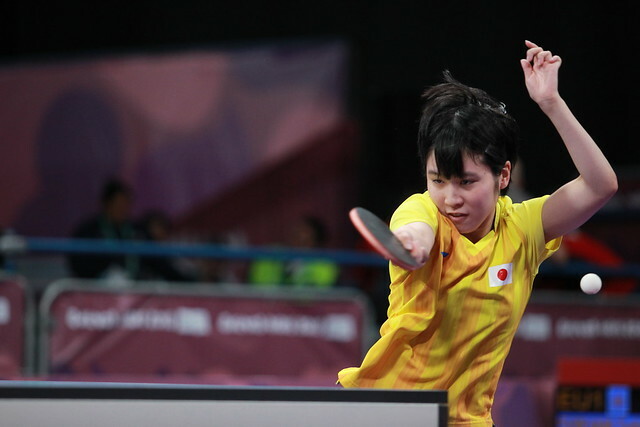 Both events on the second day of action are administered on the progressive knock-out formula; the players who reach the final of Draw ‘A’ qualify for the Buenos Aires 2018 Youth Olympic Games. Two stages completed, the third stage takes place on Sunday 5th November when the remaining places will be determined. All the remaining players from “Draw A” alongside the players reaching the final of “Draw B” compete in Draw “C”; organised on the knock-out formula, the two players who reach the final qualify for the Buenos Aires 2018 Youth Olympic Games. A play-off match involving the losing semi-finalists will be held to determine the reserve names. In order to be eligible, a player must be born in 2000, 2001, 2002 and 2003; a total of 32 players compete in the Men’s event, it is 27 in number in the Women’s competition.